Our Photo Gallery is continuously updated with new pictures of International and Domestic destinations we have visited and want to share with you - Enjoy! Over many years Gillian, Bob, our family and our team of agents have made a focused effort to pictorially describe the many incredible destinations we have personally visited both domestic and international. These pictures are displayed for all travelers to see and enjoy. Pictures are headed by destination name. Click on any destination of interest to see pictures of that destination. Should you have any questions or want to know more about travel to a specific international or domestic destination, contact us. All pictures in our Photo Gallery are published with the permission of the material owners although most of the Photo Gallery pictures on this page are the property of Travel Travel. Should you want us to consider publishing pictures taken by you on a vacation trip booked with us, please email us and attach the pictures together with written permission to publish your pictures. 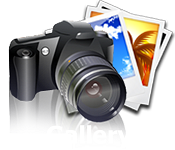 You may also write a short article on your trip for publication together with your pictures. Our Photo Gallery is continuously updated with new pictures and destinations - ENJOY!